Notes: Following the break with the IWC from 1.7.1913, the FNY had its own station with a wooden platform. 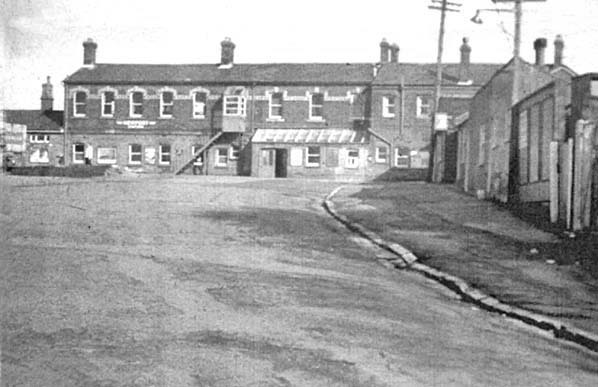 Following closure in 1923 the station was soon demolished by the Southern Railway. The first railway to be built on the Isle of Wight opened between Cowes and Newport in 1862. In 1868 there was a proposal to build a line from Newport to Freshwater at the western end of the island. This initial proposal came to nothing but in 1880 the Freshwater, Yarmouth and Newport Railway Company were authorised by act of parliament to build a 12 mile single track line with three passing places from the Isle of Wight Central Railway's station at Newport to Freshwater. Construction started at the western end in 1886 with the line finally reaching Yarmouth two years later. 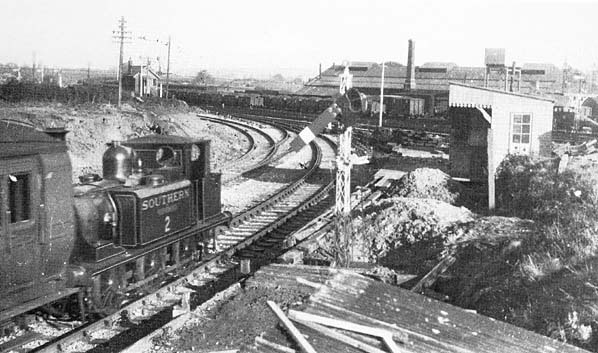 The railway opened to goods traffic on 10th September 1888. There were some passenger excursions but the line didn't officially open to passenger traffic on 20th July 1889. 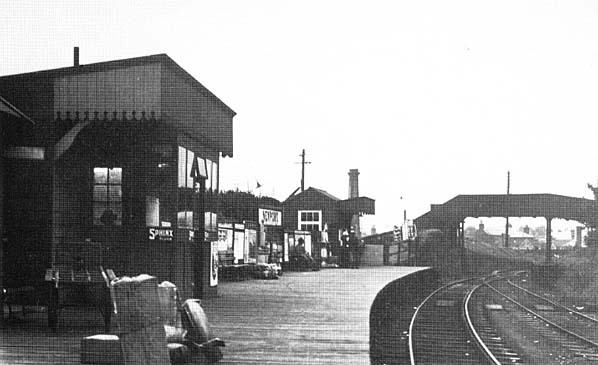 Intermediate stations were at Carisbrooke, Calbourne, Ningwood and Yarmouth and in July 1889 a private station was opened at Watchingwell for Sir. John Simeon of Swainston. Eventually this became a public station and first appeared in a public timetable in August 1923. From the start the service was provided by the Isle of Wight Central Railway who provided the staff and the rolling stock while the FYN was responsible for maintaining the line. This did not prove to be a satisfactory arrangement and after bankruptcy in 1896 the partnership was eventually dissolved in 1913 when the FYN bought its own locomotives and rolling stock. 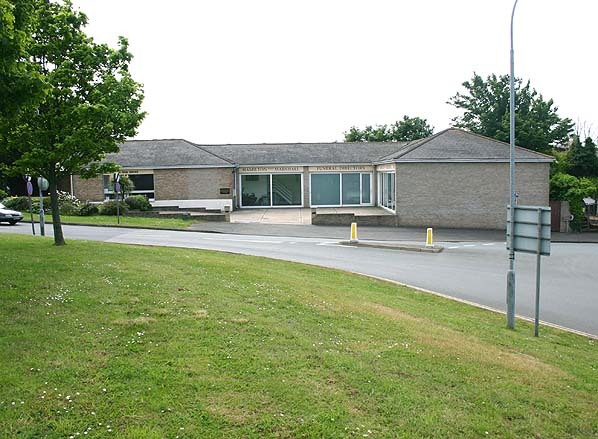 The company also built its own station 200 yards west of the IWC station at Newport. Initially transferring passengers had to walk between the two stations but by June 1914 trains were allowed to run between the two stations saving passengers the walk. The line was not financially successful with the company operating in bankruptcy until 1923 when it was taken over by the Southern Railway as part of the general grouping. Many of the islands other disused lines have now been given a new lease of life as public footpaths and cycleways, these include Newport - Sandown (Perowne Way), Newport - Cowes, Wootton - Newport and Brading - Bembridge. 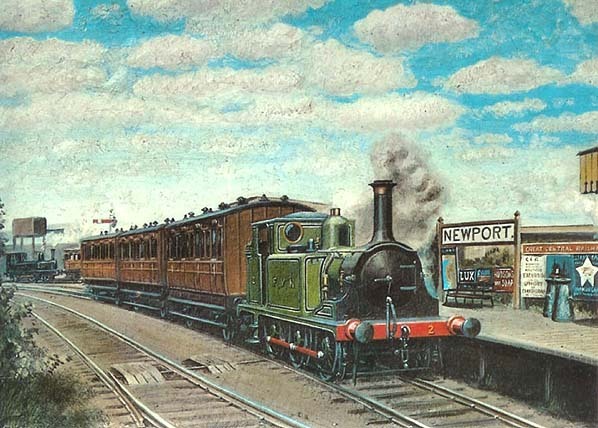 Other web sites: The Freshwater Yarmouth and Newport Railway (Steve Holden) web site.